Why would one save money by hiring an interior designer? Great question! There are several reasons. #1 Spacial Design – You might have heard me talk before about “balance”. It is so important that a room feels balanced. I always like to start with the space….…or architecture of a room. Many times the fireplace, or even the windows in a specific room can be too small for that room, causing it to feel unbalanced. It can make such a difference to have a fireplace enlarged, or shelves built on the sides if it’s a smaller fireplace. This can be a difficult change to envision for many people, but usually comes very naturally to many designers. Having any kind of architectural experience can definitely help with this and if you are not sure what you are doing with the overall space it can lead to some expensive changes that don’t turn out in the long run. 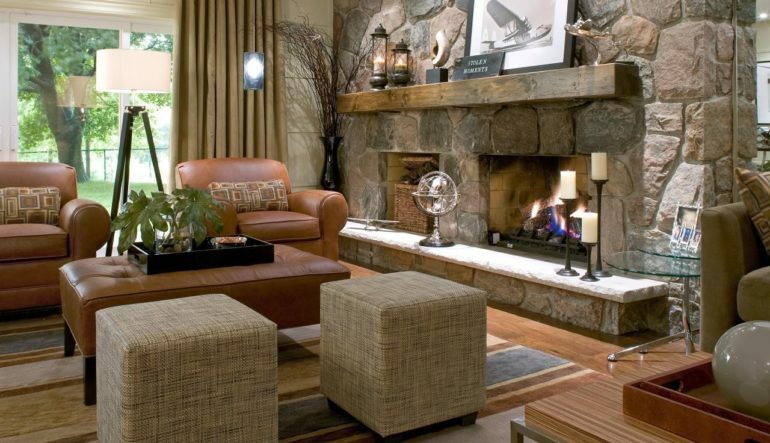 Most rooms have a large focal point to them, whether it is the fireplace, television, picture window or bed. It is necessary to capture that space and make sure that it is at least 40% of the room and designed well in order for that room to feel well proportioned. The first good reason to not waste money in trusting your own idea but to invest in hiring good help!